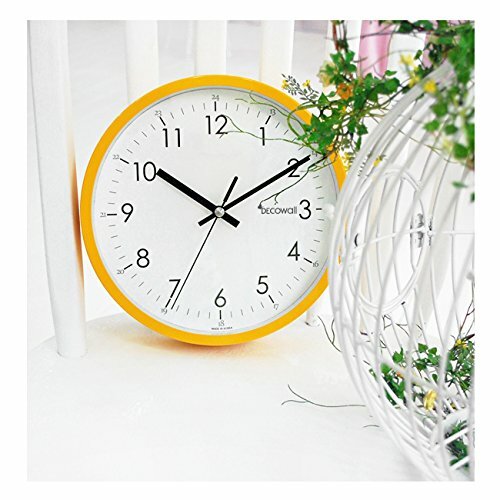 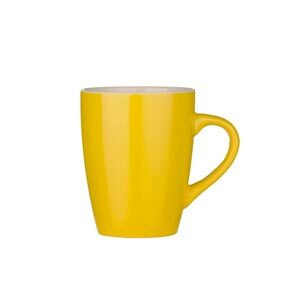 This simplistic yet stunning Decomates yellow kitchen wall clock measures 22.5 cm in diameter and 4.3 cm in depth, the Decomates clock has an easy to read white face with contrasting black numbers allowing you to easily see the time from wherever you may be in your kitchen, the kitchen clock is made from metal and features a beautiful yellow trim to ensure that it will brightly stand out on whatever wall you decide to hang it on. 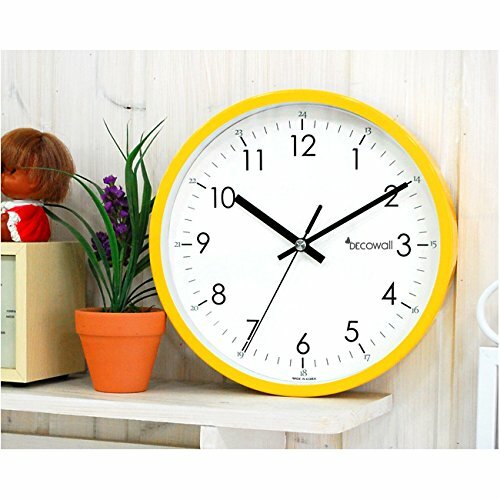 One great feature of this bright yellow clock is that it is completely silent when it ticks, ensuring that you will not have to put up with any background noise making this yellow wall clock not only a good choice for the kitchen but also perfect for use in the bedroom. 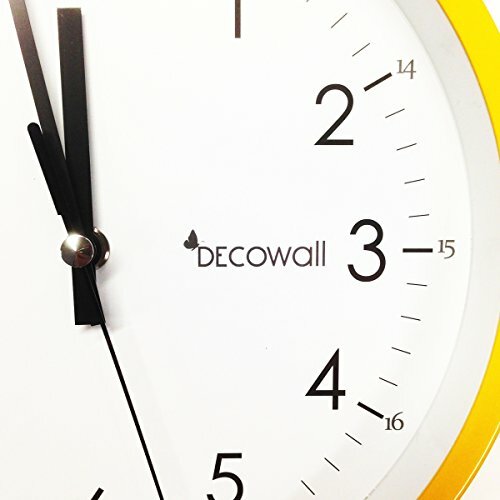 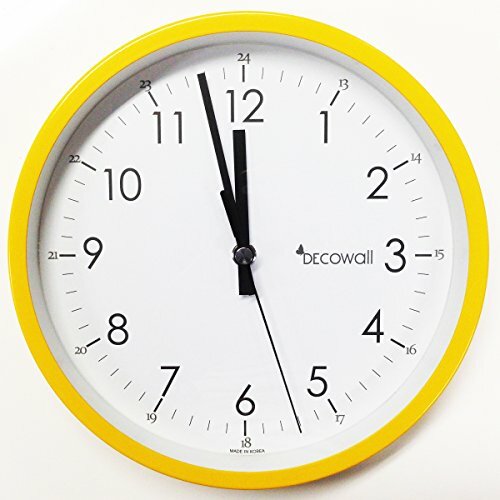 The wall clock is easy to hang and requires a single AA battery for use (Not included). 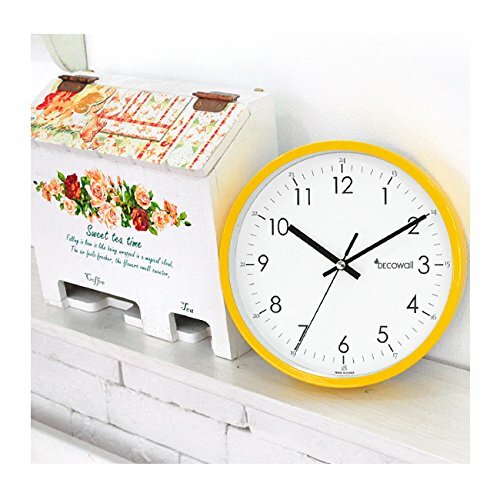 While some kitchen clocks may seem slightly tacky, especially some of the cheaper wall clocks that feature bright and vibrant colouration, this clock from Decomates not only is high quality but also has lots of style and looks great. 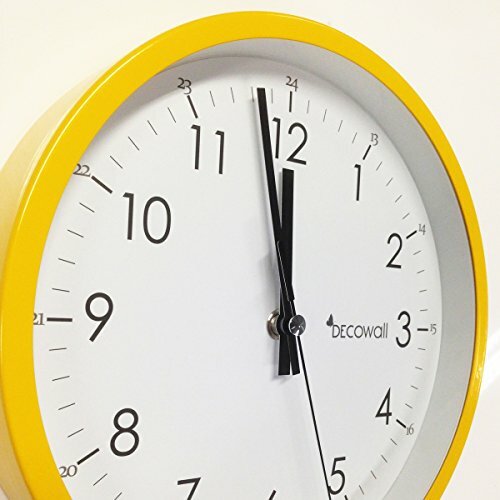 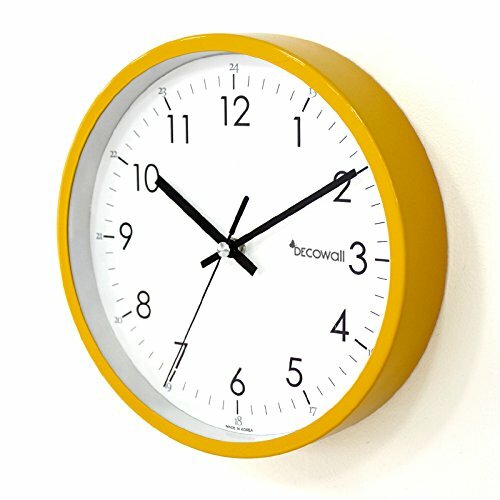 The wall clock is available in either yellow or orange and is a wonderful choice for those that are after a wall clock with a silent sweeping second hand that really does make no noise at all! 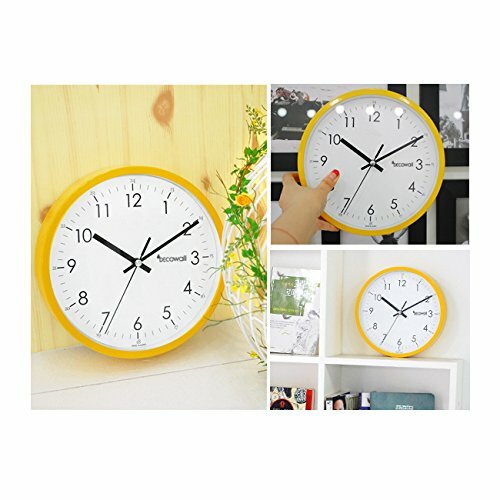 Overall this is a good choice for anyone looking for a funky and stylish wall clock to hang in any of their yellow themed rooms. 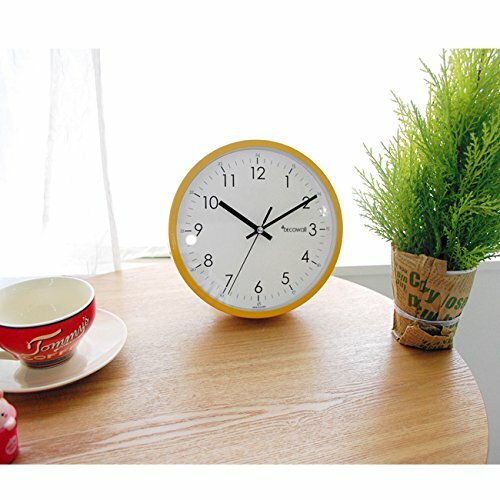 This yellow kitchen wall clock comes highly recommended.